10 reasons why you can’t afford to miss TechHR Singapore 2019! From an impressive speaker lineup of global leaders to invigorating masterclasses to thought provoking stories from global organizations, there are 10 reasons why TechHR Singapore is not to be missed. This post is originally published on People Matters. Transformation is never a straight-line process. 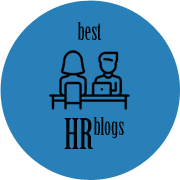 We all have seen that the HR function has pushed itself to adopt and adapt to the evolving trends of the business ecosystem. From taking a much larger role to leading organizational transformations, HR function needs to spearhead the organizational change from “doing digital” to “being digital.” It is time for HR to lead from the front! And we want to highlight this at the People Matters TechHR Singapore 2019, Asia’s largest HR tech symposium, where we will have leaders from across the world who will share their perspectives and insights. 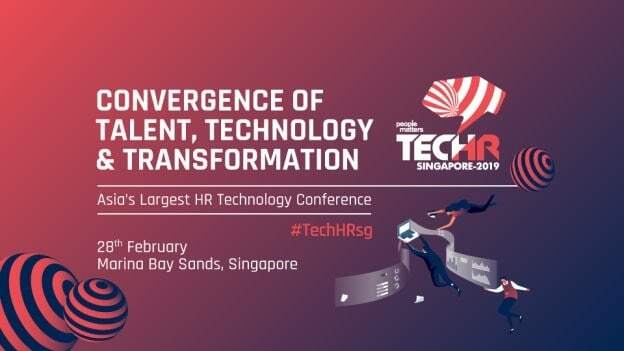 We give you 10 reasons why you cannot afford to miss TechHR Singapore 2019! 1. An awesome line-up of speakers including some of the world’s most influential technology leaders like Rudy Karsan, HR tech entrepreneur turned investor, sold Kenexa to IBM for $1 Bn; Brian Sommer, Founder, TechVentive; Mark Stelzner, Principal at AI HR, leading HR consultant and strategic advisor. 2. Global thought leaders like Dr. Robert Hogan, President & Founder at Hogan Assessment; Jason Averbook, Co-founder and CEO, LeapGen; John Kostoulas, Gartner Research Director Human Capital Management; William Tincup, President of RecruitingDaily & top global influencer in recruitment tech, who will give us their perspectives on how work, workplace and leadership is changing. 3. One platform that ensues discussions between the global business and Asian HR leaders of the likes of Aileen Tan, Group CHRO, Singtel; Vinod Anand Kumar, CEO & MD at Tata Communications; Kulshaan Singh, Chief People Officer, Charoen Pokphand Group; Priya Cherian, HR Head- APAC, Alibaba, and many more who will brainstorm ways of solving the most pertinent talent challenges. Click here to view the entire list of speakers. 4. Get access to thought-provoking stories of fast-growing global organizations like the Grab way to scale people practices Chin Yin Ong, Head of People, Grab; how process transformation and tech impact business only underpinned by culture by Shweta Shukla, Head HR- Asia, Netflix; building a data-driven HR team by Fermin Diez,Deputy CEO & Group Director, Board Member & Advisor, National Council for Social Service and many more. 5. Exclusive Study Tours planned for 1st March! All delegates will have an option to choose from the list of company study tours organized on Friday 1st of March across Singapore. Netflix on creativity and out of the box thinking; Singapore University of Technology & Design about Design Thinking and what Tech may look like in 2050; 3M on how one of the leading innovative firms approaches talent management; P&Gon reality bites of transforming through HR Tech; Google on experiencing the Google way of defining work workplace and many more! Click here for complete agenda. 6. Largest confluence of startups in the Tech HR space with over 500 startups have applied for People Matters TechHR start-up program in the last 5 years. Hosting the largest gathering of investors in any other HR technology conference which include Singapore Press Holdings, Singtel Innov8, SeedPlus, Tri5 Ventures, Cento Ventures, Talent tech, Accenture Ventures, TNF Ventures, Monk’s Hill Ventures, ENRG Hong Kong Limited, Omidyar Network and many more. Click here to read more and to apply to our startup program. 7. The Ideas For the Future Zone is People Matters integrated exhibition space. An exhibition area like none other with 50 exhibitors selected to present leading HR products and services to help you make that business impact this year. Click here to become a partner. 8. Get exclusive access to premium Masterclasses. All these Masterclasses are open to all delegates but required pre-registration (as it has limited seating capacity) so book fast! Take the lead in your organization’s digitization agenda by joining the Masterclasses on CHRO’s Digital Roadmap Guide; and Building Digital Workforce Experience. Learn new methodologies and how to implement them by joining the Masterclasses on Digital Storytelling & Employer Branding; and Design Thinking, becoming a culture designer. Create a personal digital transformation roadmap by joining the Masterclass: Profile of a Digital Leader. Click here to see all Masterclasses in the agenda. 9. Join the gathering of business and HR digital change makers with more than 1,000 delegates from organizations like Schneider Electric, Marriott International, Singtel, Deutsche Bank, Lenovo, Unilever, JPMorgan, BreadTalk, GE, Maybank, DBS Bank, Google, Medtronic and many more. 10. You Matter! The conference experience has been curated to provide unparalleled industry contentexclusively for you, considering the different backgrounds and industries, so that there is something for every leader. Come and join us to take the next leap! Don’t miss out the opportunity to register by Friday, November 30th, and save up to S$500! Register now.